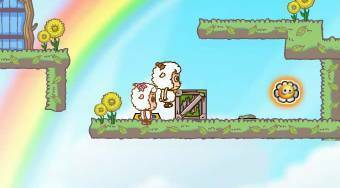 Do you like Home Sheep Home 01? Share it with your friends. Home Sheep Home 01 - collect with the sheep all the daisy flowers and get to the door.